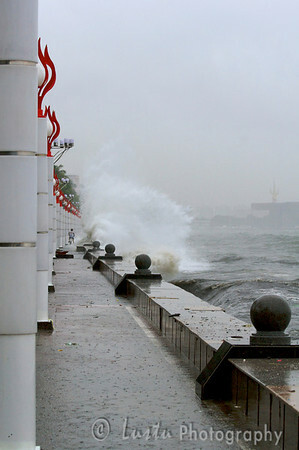 Images taken in Manila a few hours after the typhoon Frank (fengshen) hit the capital of Philippines. Bicyclist is riding close to the shore defying the rough sea and big waves. I mis being in this weather in the Philippines.Thanks for sharing! !